Home Revival Furniture Painting Specialists. We take good quality well made antique and vintage furniture and relove it! 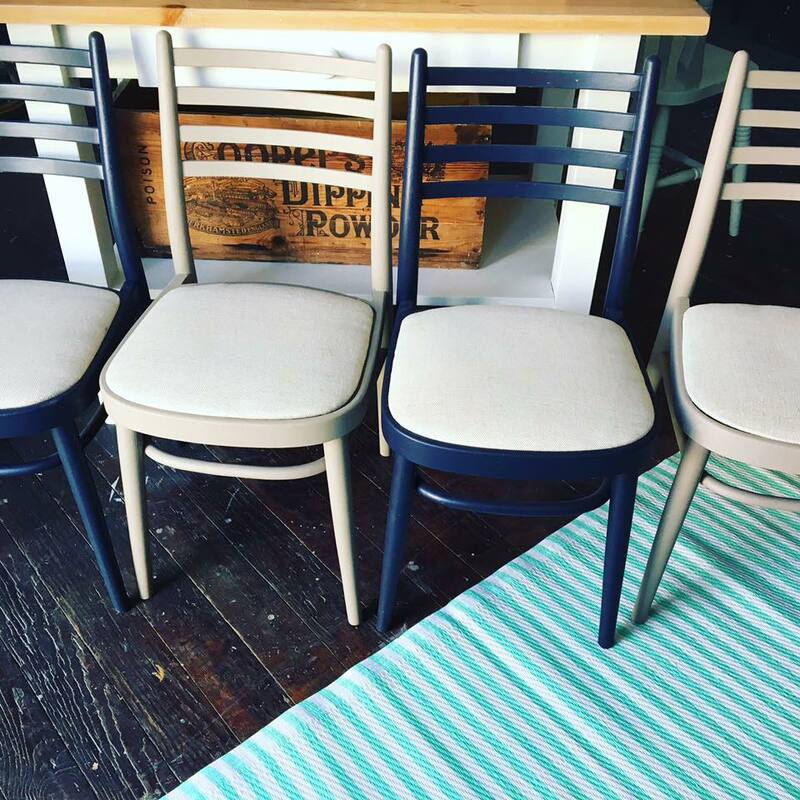 We have a dedicated workshop where all the magic happens, as well as furniture redesigned for the shop we also do commission work. We only use the best quality paints and luxurious finishes. Here at Home Revival, we love to design and revive your unloved furniture into unique statement pieces. Please get in touch for all your design and painting needs, we love a challenge! don’t forget we can source vintage items for you. With our dedicated workshop, we can meet your needs no matter how big or small the job is. 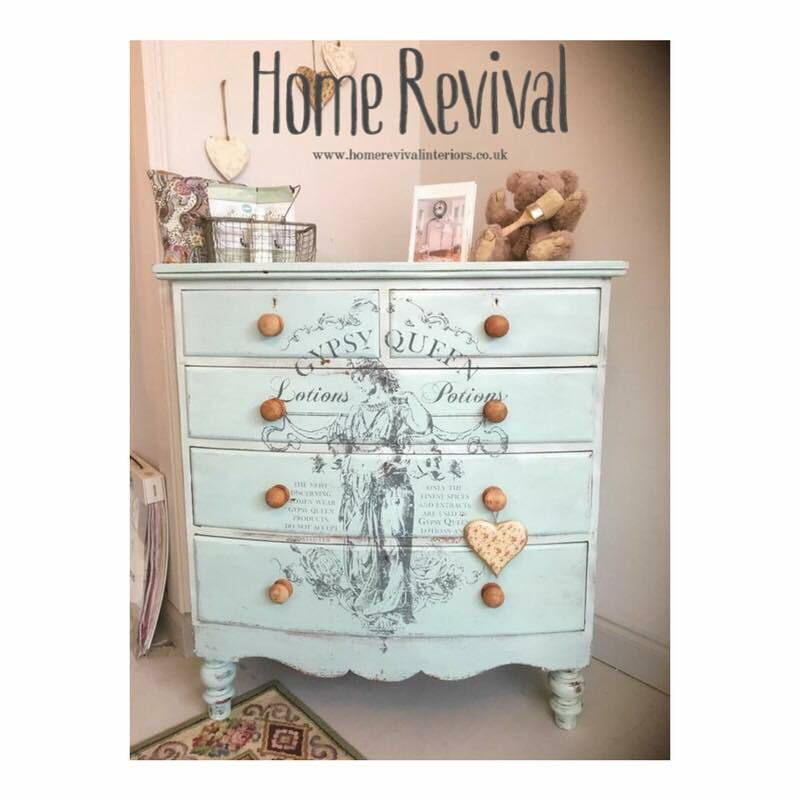 We are Education Ambassadors for Fusion Mineral Paint and Miss Mustard Seed’s milk paint, and we are proud that Home Revival is the South West Education Academy for both of these fantastic brands. We are also the UK exclusive distributor for Sandi Hand sanding glove. 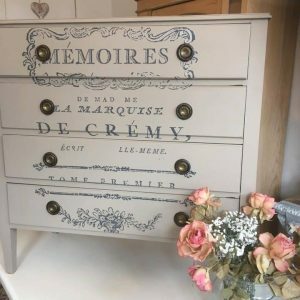 Gypsy Queen Victorian Chest of Drawers. Mid-Century Modern set of 4 chairs.